Instagram is changing the look of its photo-sharing site on the desktop, streamlining the display of people's photos while also enlarging them. The redesign essentially mirrors the look of profile pages in Instagram's mobile app. Previously, on the desktop, users' photos were laid out in rows of five under their bio, with an additional collage of photos above the bio. With the changes, the collage is removed and photos on profile pages are laid out in rows of three, just like in the app, and the photos are bigger. In addition, some of the borders and shading on the desktop site have also been removed. And users' profile pics, as well as their posts, followers and following counts, appear in the same style as on mobile. The changes are not huge, but they're a solid step toward unifying the look of Instagram's desktop site and mobile app. 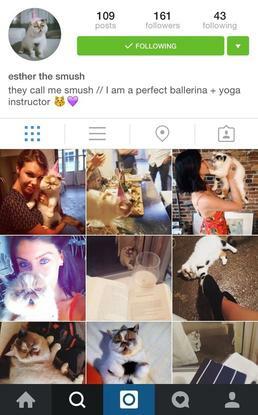 The redesign may also show a desire by Instagram to help users attract visitors to their profile pages on the Web. Instagram is still very much down with collages. In March, the Facebook-owned service released a standalone app for making photo collages, which users could then post to their feeds.